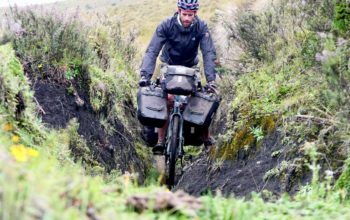 Fuji have been putting a touring bike together for yonks, but it has only been since 2012 they’ve really been en pointe with their build. 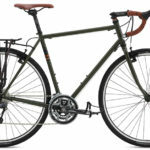 Prior to 2012, the Touring came with STI integrated shifters, a quill 1-inch headset, cantilever brakes and a basic rear rack. 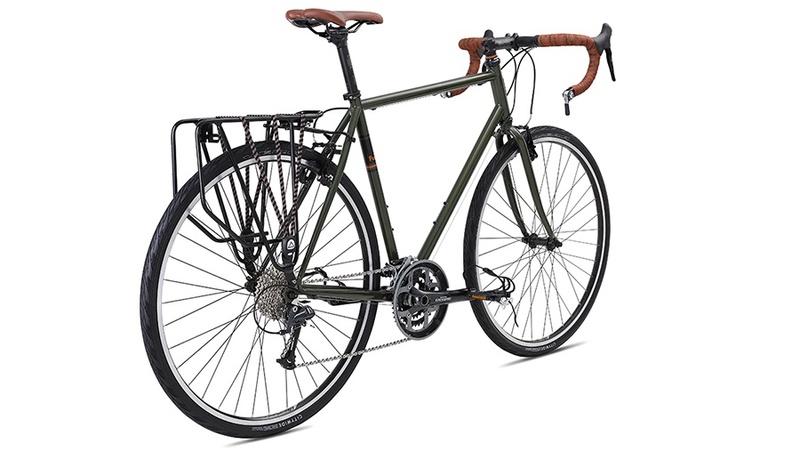 Nowadays the bike is stock with much better performing/reliable parts including barend shifters, a wide-range crankset, a threadless headset, mini-v brakes and a solid rear rack. 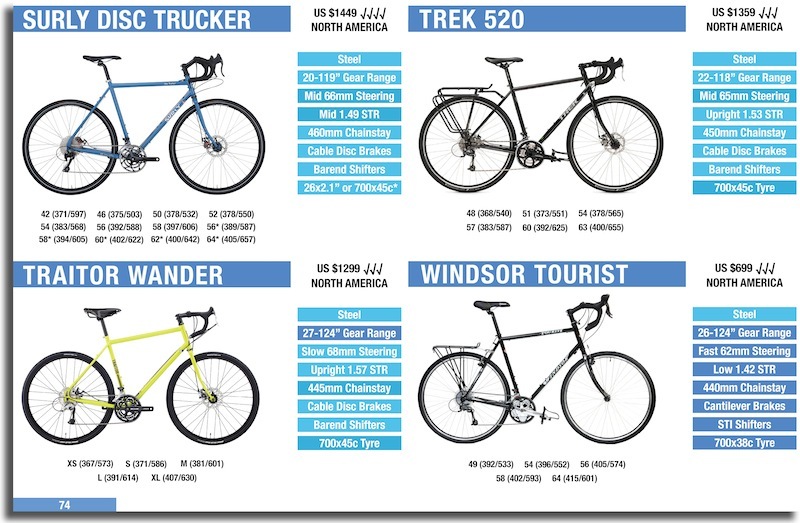 But what makes the 2016 Fuji Touring great… the price. It’s just US $770. That’s less than half the new Salsa Marrakesh! 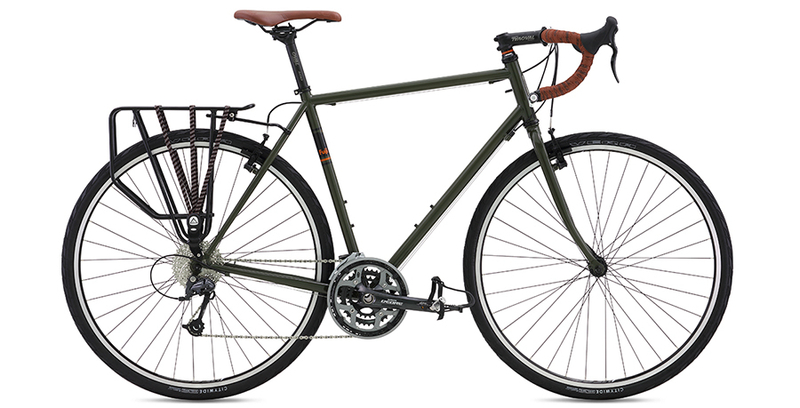 The 2016 Fuji Touring Bike. 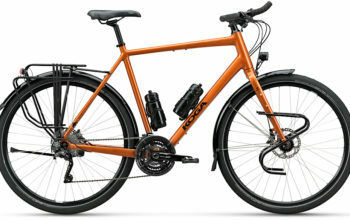 Fuji employs butted chromoly 4130 steel for the frame and fork construction. The geometry is great for touring overall, although the chainstays could do with about 20mm extra length for heel clearance. 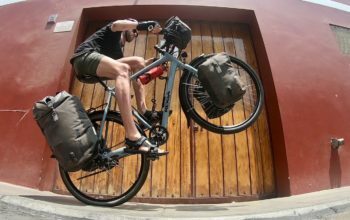 If you use size US10 shoes or above, you may need to get yourself a Tubus Logo rack which will allow you to mount your panniers further back. 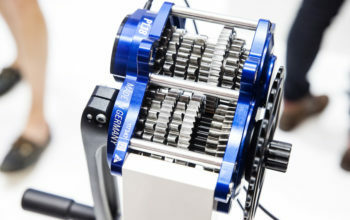 The gear range on this bike is exceptional, with the smallest gear around 21 gear inches (26t-34t). 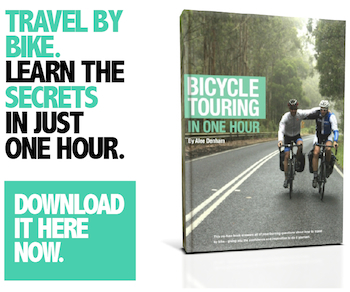 That will get you up almost any hill worth climbing. 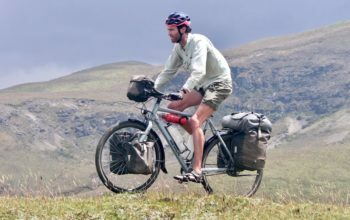 The tyre clearance is limited to around 700x38c on this bike, making it more ‘road tourer’ than ‘off road tourer’, although lots of people take 38c tyres on rough roads like the Pamir Highway. So what do you miss out on with this budget build? 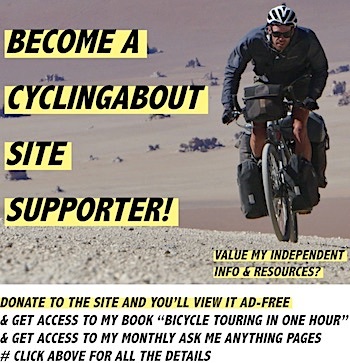 There’s no disc brakes (my preferred style of brake), the steel tubing is heavy/basic, the tyres are of a pretty average quality, there’s only two bidon mounts and the dropouts aren’t convertible for internally geared hubs (like on the Specialized AWOL or Salsa Marrakesh). 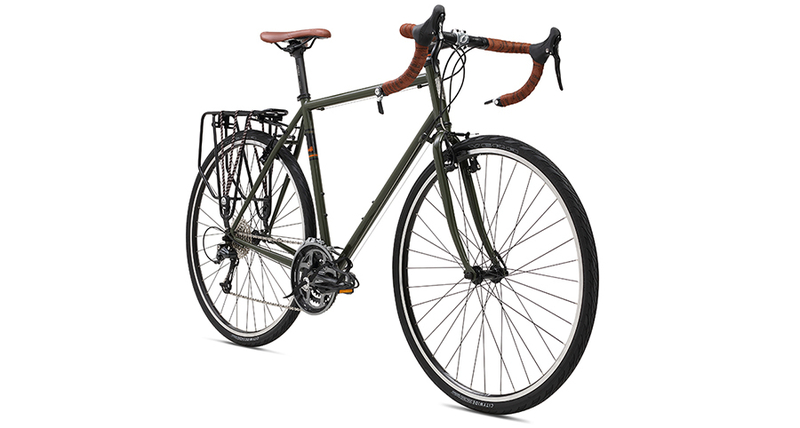 Overall, the Fuji Touring is an exceptional build at this price point.